Cabernet Sauvignon: Beckstoffer –Vineyard Georges III, Slawson, Bayview-Zinfandel Lane. Merlot: Showket, Poe. Petit Verdot: Thorevilos. Cabernet Franc: Caldwell. For six years, the Napa winery has conducted a no-holds-barred blind tasting of its Profile cabernet sauvignon blend against some of the region’s other heavy hitters. So confident is Merryvale, it gathers wine critics from 10 different North American cities every year to taste eight wines blind. 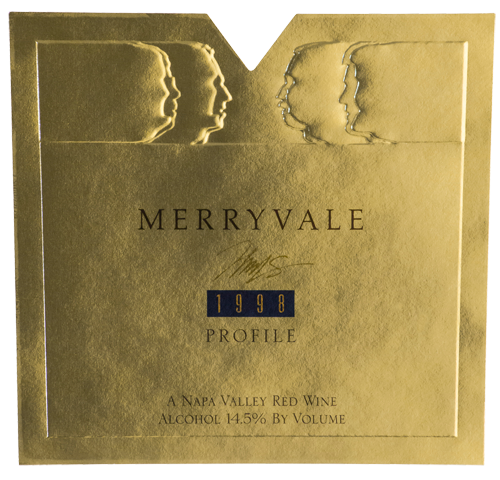 It’s a bold initiative and one that speaks volumes for this proud family-run winery… Profile 1998: Our gracious hosts placed a respectable fourth in this tasting — and, believe me, one through four were very close. This is a sleek, striking wine with plum, dark chocolate, cassis and layers of berries. The finish is long and satisfying and reveals more of this wine’s complexity.